After our discharge from hospital, daddy loaded up the car with our things and put our precious cargo into the car seat for the first time. 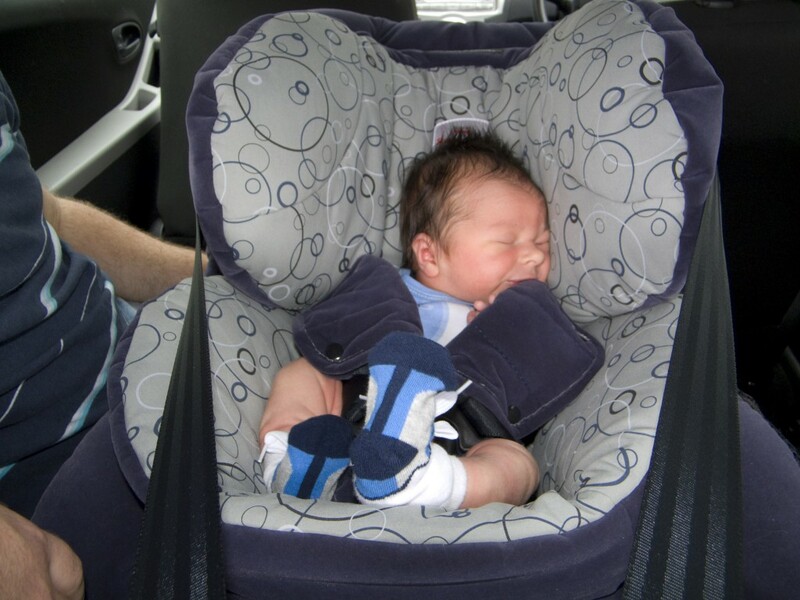 After a bit of a struggle to work out the car restraint, we were all strapped in and ready to go home. Daddy had even thought to do a test drive and find out where all the bumps were so he could avoid them for the trip home.